Legal Tennessee Poker - Which Forms of Gambling Are Legal in Tennessee? In most states, gamblers at least have one option for how to play their favorite games. They can gamble in their local casino, online or at home. However, that’s not the case for residents of Tennessee. They have no options within the state, unless they don’t mind breaking the law (which many players do playing poker online anyway). Their only legal option is to travel outside the state to nearby Tunica, Mississippi, or further away to Las Vegas or Atlantic City. So it should come as to no surprise when we say that Tennessee easily breaks the top 5 for the worst states for gamblers to live in. To learn more about what little you can do, and all that you can’t do in Tennessee, please read on. Although there are no laws calling out online poker or gambling in specific, based on the following statute one could assume that online poker is illegal within the state. (a) A person commits an offense who knowingly engages in gambling. The offense of gambling is a Class C misdemeanor. Granted, the consequences are minor and no one in Tennessee has been arrested, much less charged for online gambling. That might explain why residents of the state play online anyway. Tennessee doesn't mention social gambling in their laws. Our research would indicate that home poker games are illegal, too, and would also result in a misdemeanor. Do Casinos in Tennessee Offer Poker? 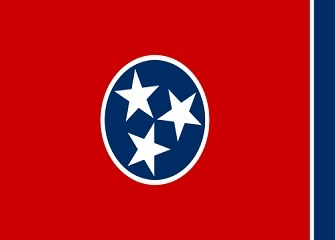 The state of Tennessee passed an anti-betting law in 1906. This ban shut down the racehorse industry, as well as prevented anyone, including local tribes, from opening casinos, card rooms or racinos. We receive a lot of questions about what the gambling laws are in the state of Tennessee. We thought it'd be helpful to post those questions and our answers here for everyone to read. We're going to lean towards a "no" given how strict the state is. With the exception of the online poker bill cosponsored by Joe Barton and Tennessee Rep. Steve Cohen, nothing has been said or done about regulating online poker within the state. In fact, we feel that there is more of a chance of Tennessee regulating brick and mortar gambling than online gambling – at least in the near future. Is there an online poker room that accepts players from Tennessee? Yes. Despite how strict Tennessee is regarding gambling, residents will still be able to sign-up to a number of poker sites including Bovada, Sportsbetting Poker and BetOnline. What other forms of regulated gambling is offered in Tennessee? Tennessee has a lottery and very limited charitable gaming. What is the Tennessee Charitable Gaming Implementation Law? This law establishes a framework for a IRC §501(c)(3) organization to operate an annual game of chance. All organizations must be approved by two-thirds vote of the General Assembly. What games are authorized and how many may I operate during the annual event? Authorized types of games include raffles, reverse raffles, cakewalks, and cakewheels. Unauthorized games include bingo, pulltabs, punchboards, video lottery games, instant and on-line lottery games of a type operated by the Tennessee education Lottery Corporation, keno and games of chance associated with casinos including, but not limited to, slot machines, roulette wheels, and the like. Where can I read more about Tennessee poker laws? Chris Moneymaker lives in Tennessee. He won the WSOP in 2003 and is credited for the poker boom that followed. In fact, he qualified for the event on PokerStars while living in Tennessee, and despite wining the seat and subsequently the event, he was not arrested or charged for playing poker online within the state. On the other side of the coin we have republican Bill Frist, a Tennessee senator. He was the person responsible for dropping the UIGEA clause into the SAFE Port Act. This was the cause for the collapse of online poker that resulted in several poker sites withdrawing from the US market, as well as making it harder for remaining sites to do business. It was also the law that sites like PokerStars and Full Tilt Poker broke (amongst others) and where ultimately charged for in April 2011, which is known to the poker community as Black Friday.